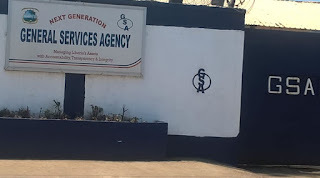 Spokespersons of aggrieved General Services Agency (GSA) employees were ordered by armed Police officers of the Liberia National Police to vacate the compound of the GSA on Friday, February 23. The aggrieved workers said the Police gave them no “genuine reason” while they were being forced out of the premises. Moses Doely, spokesperson for the workers, said he and four other colleagues had gone to the human resources manager office where they normally sit when officers of the Police Support Unit (PSU) ordered them out of the compound. "The Police didn't tell us why they were asking us out, but when we were in the HR office, we saw Chon David walking towards us with the two PSU officers and pointed at us, just in that time the officers asked the five of us outside but failed to give reasons why we were being asked out of the compound," he said. 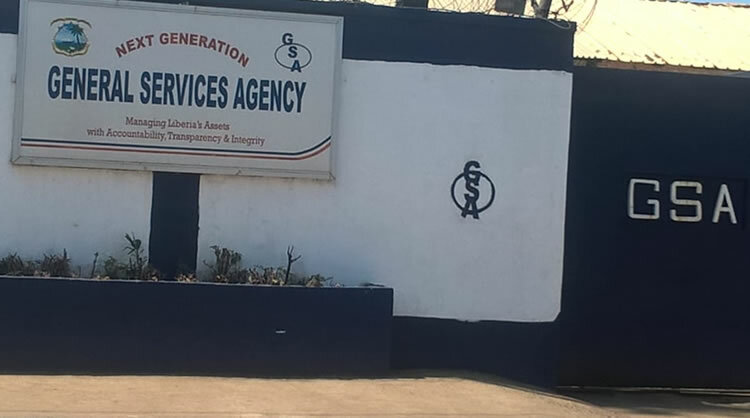 According to the security, they were acting on a special mandate by GSA Director Mary Broh, who ordered the compound a no-go zone for journalists or non-employees after the incident. Madam Broh’s reappointment at the GSA has come under scrutiny when some employees accused her of misdeeds at the agency. In the workers’ seven points petition statement rejecting the reappointment of Madam Broh, they accused her of corruption, nepotism, huge disparity in the distribution of allowances, use of invective on employees, lack of capacity building programs, denying employees benefits from government partners, and arbitrary dismissal and suspension. “We as citizens of Liberia (that) massively voted the CDC because we are fed up with massive corruptions and abuse of power,” the workers said in their petition, while calling on the President to reexamined her preferment “because she has violated all the norms and values we stood for as Liberians,” they wrote in their statement. Several employees who witnessed the incident Friday told FPA that Broh’s decision to order the employees out was retaliation to a recent investigative report by the paper based on documentary evidence alleging that the GSA director has sold several government vehicles despite a moratorium placed on the sale of scrap vehicles. But the employees vowed to continue their protest against Broh until all of their allegations against her are investigated. Following the Police action against the workers, the spokesman said they made efforts to seek the intervention of another senior official of the agency but to no avail. "When the Police asked us (to leave) I went straight to Mr. William Darkel who having to be the Deputy Director at the GSA but instead he got angry at me," Doley said. "As soon as I asked him (Mr. Darkel) if he was in the know of the Police putting us out, he started shouting, ‘who do you think you are, foolish man like you, get out’, he told me," Doley explained. But Deputy GSA Director General William Darkel refused to pick up his calls after many attempts FPA made to hear from him. Along with Doely, several others employees, who are leading the protest against Broh’s reappointment, were allegedly dragged out of the compound. They are Moses W. Doely, Aloysius C. Swen, Charles A. Habakkuk, Prince Gongbahn, Nathan Okai, and Beatrice Johnson.